A few days ago I did a video on the winner of the Samsung Smart App Challenge. Since everyone seemed to like it I decided to cover the other 9 winners in just one 9 minute video. The winning apps are available for download here. I also did a tutorial on the Samsung Mobile SDK if you want to learn about that. 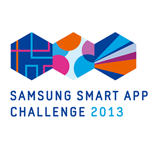 The Samsung Smart App Challenge for Galaxy S4 rewarded 10 app makers $800,000. The main goal of those developers that participated was to develop apps specifically for the S4 device, but also to incorporate the Samsung Chord capabilities into those apps. I’m sure there will be one, but I don’t think anything has been announced yet. I’ll be interviewing the developer of Dots Out next week I believe live!